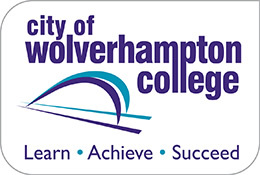 Students at City of Wolverhampton College are throwing their weight behind a bid by a local gardening group to win £44,000 of National Lottery funding. Growing Together, based at Boundary Way allotments in Penn and Glyn Bank in Whitmore Reans, provides a range of gardening courses for local residents, as well as well as activities and employment-related support for people with learning disabilities, autism or mental health needs. Growing Together has applied for funding through the People’s Projects, a partnership between the National Lottery Community Fund, the National Lottery, ITV and STV which was established in 2005 and gives the public a say in how funding should be put to good use in their local area. The college students took part in a promotional film for the group’s bid – fronted by ITV reporter Matt Ratcliffe and broadcast on Central News on April 2 – and were shown making a Monty Don scarecrow to keep birds away from freshly planted seeds. Dawn Clifton, tutor on the Futures programme, said: “The students really enjoy their sessions at the allotment and, as well as learning new skills, they are also gaining experience of working with others and interacting with other gardeners and members of the public who visit the site to purchase the freshly grown produce on sale.